EF » EFnet » FELU Research » Is enterprise risk management a value added activity? Is enterprise risk management a value added activity? Dr. Marina Mešin Žagar, University of Southern California, USC Marshall School of Business in Univerza v Zagrebu, Ekonomska fakulteta. 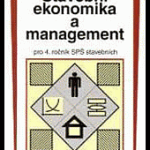 Severe consequences of the global fi nancial crisis resulted in re-thinking the risk management processes and approaches. OECD (2009), BIS (2008), FSA (2008) and IIF (2007) suggested that corporate risks should be “high on the agenda” of every organization, highlighting the need for a comprehensive (enterprise-wide) risk management framework. What has been realized in the aftermath of the global fi nancial crisis is that a failure to transmit information about risk exposures can be attributed to the traditional silo-based risk management (TRM) (OECD, 2009). In TRM risks are managed in isolation by business unit managers with little oversight or communication of how particular risk management decisions affect other corporate risks and corporate strategy. Consequently, more and more companies around the world are moving away from TRM to a more holistic approach known as enterprise risk management (ERM) (CGMA, 2015). 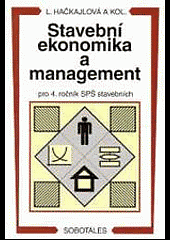 E+M Ekonomie a Management, vol. 21, iss. 1, 2018.